The original HELIX 5 has been replaced by the HELIX 5 G2. 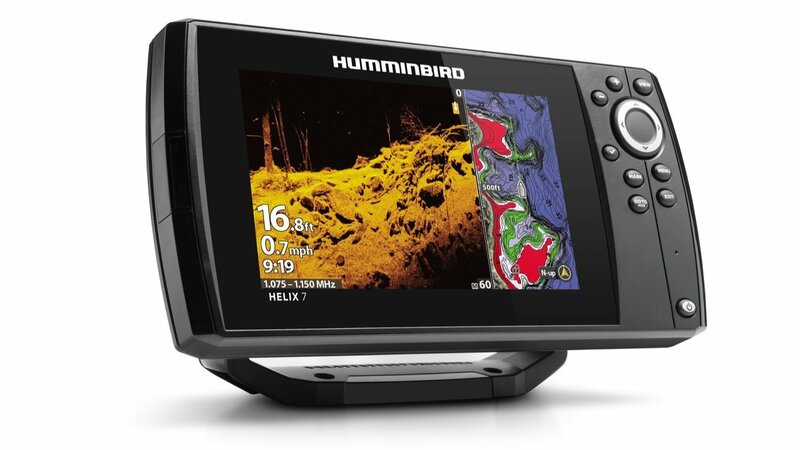 Humminbird has recently launched a new series of fish finders called Helix 5. 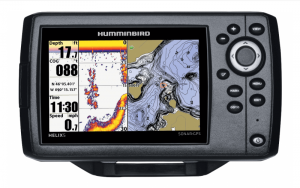 The Helix 5 takes the typical vertical screen orientation found on 400/600/700 series units and turns it into a landscape display like what you would find in the very popular 800 and 900 series of fish finders. In our Helix 5 review, you’ll see why this is a compact yet powerful unit that should be an intriguing option for first time Side and Down Imaging buyers who aren’t ready for, or simply don’t want one of the larger more complicate sonar units. 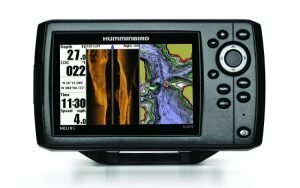 There are several key things about the Helix 5 that anglers should take note of when comparing these fish finders to other units. The Helix 5 utilizes a 5” display in a landscape orientation to make the most of the GPS and Side/Down Imaging capabilities. Where the Side Imaging look scrunched up on a 600 series, it has the entire 5” wide screen on the Helix 5. 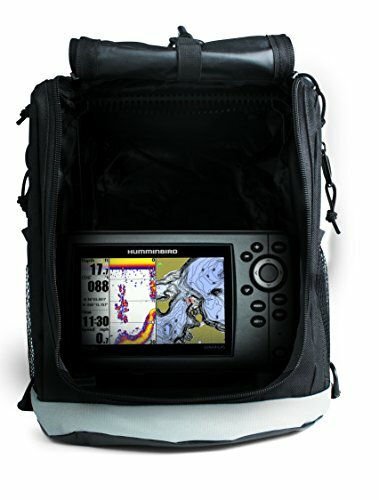 Big Features / Low Price – For $500, you can now get a full featured Side Imaging, Down Imaging, GPS combo fish finder. That is a tremendous value for high end sonar capabilites. High Resolution Display – The Helix 5 has a landscape 800×480 pixel, 256 color TFT display. Think about it this way – an 800 Series screen is 2″ larger but has the same resolution! Non Networkable – While some of the models are Side and Down Imaging capable, they are not networkable, most likely in order to keep the overall cost down. Mounting – The Helix 5 mounts to the boat using a new plastic gimbal mount, replacing the old familiar quick disconnect mounting system that has been around for many years. 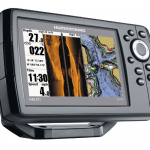 GPS Mapping – Helix 5 will run on LakeMaster or Navionic Gold/HotMaps MicroSD cards. The single MicroSD card slot is located on the left side of the fish finder. 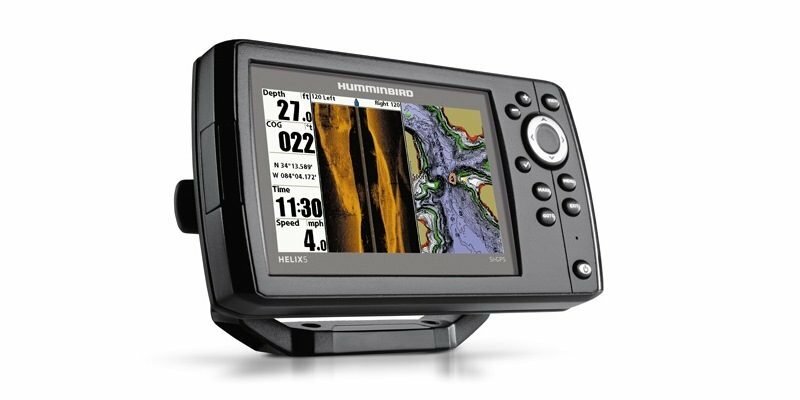 The video below is an on the water demonstration of the Helix 5 SI GPS. You can really see how bright and sharp the display is on these units, especially on the side and down imaging views. 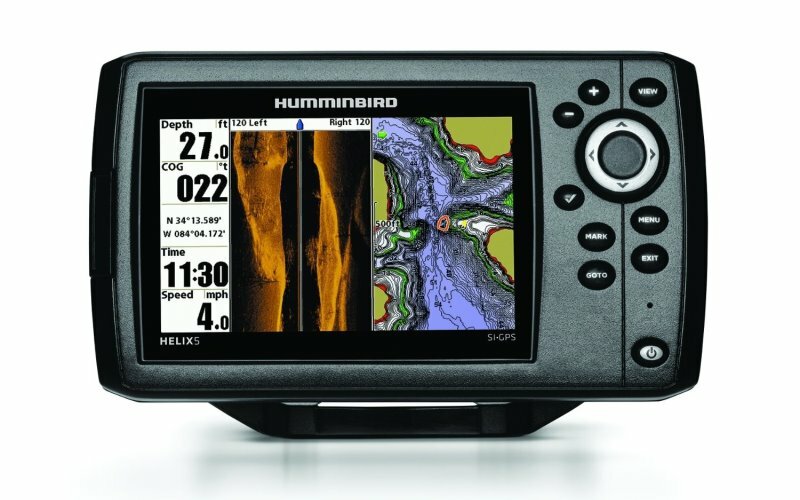 The SI GPS model is the flagship unit of the Helix 5 series. This model has all of the high end imaging capabilities of the bigger units like GPS mapping, Side Imaging, Down Imaging, and DualBeam Plus 2D sonar. 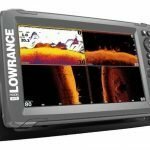 The SI images really are fantastic for such an affordable fish finder. 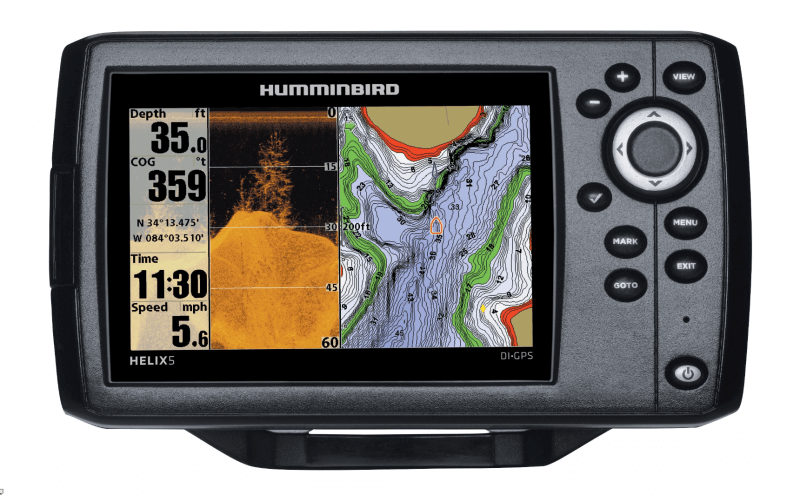 The unit comes with the Compact SI transducer, but for a minimal fee you can trade it in to Humminbird for the High Definition Transducer. The Helix 5 SI GPS ships with the Compact SI transducer (XNT 9 SI 180 T), the same transducer as on the 899ci SI. The unit will support only 455kHz Side and Down Imaging. We can only assume the 800khz was left out for cost reasons at this point. Helix 5 SI GPS will work with LakeMaster mapping cards, and will be compatible with AutoChart and AutoChart Pro self-mapping software. 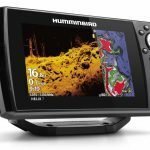 All of the Helix 5 family with GPS will be compatible with Navionics Gold and HotMaps. 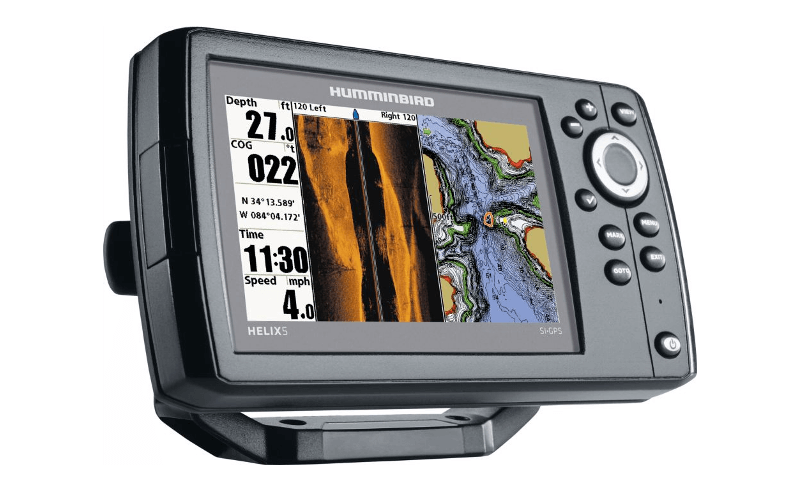 The Helix 5 DI GPS is just like the SI version, but with only DI and 2D sonar capabilities. The DI pictures really pop with detail on this new display. 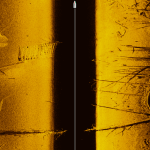 If you like to fish structure like points, bars, and ledges, the down imaging is a super useful tool. 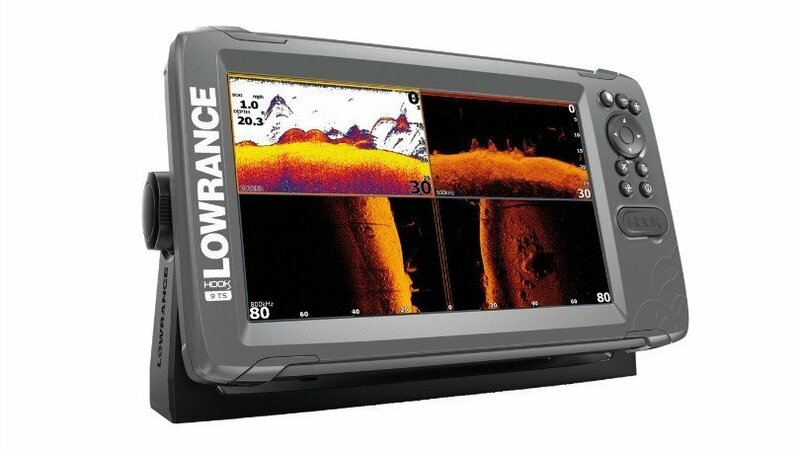 You will see brush, rock, and fish with clarity that isn’t found on standard sonar signals. The unit will ship with the standard Down Imaging transducer (XNT 9 DI T) that operates at 455/800kHz and 200/455kHz frequencies. This is a dedicated Down Imaging transducer, not a blended side imaging picture. The Helix 5 Sonar GPS is a great sonar GPS combo option. The wide screen display will look great with a sonar/map split screen. This unit is shipped with the standard XNT 9 20 T transducer, for 83 and 200kHz sonar frequencies. The Helix 5 Sonar GPS is AutoChart capable right out of the box. 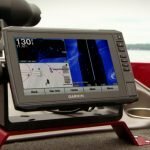 You can start making your sonar recordings as soon as you hit the water, then convert them into your custom LakeMaster maps once you get the AutoChart software. 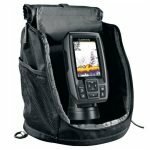 The Helix 5 Sonar GPS PT is exactly the same as the regular version, except it comes with the portable soft side nylon case and a 12V, 7 Amp-Hour, AGM battery, and a charger. Pros + Super bright & high resolution display. Side/Down Imaging capabilities at attractive prices. Cons – Non-networkable. Compact SI transducer vs HD SI transducer (although it may be eligible for the transducer trade-in program). 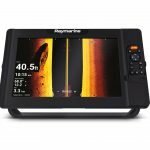 Bottom Line: The Helix 5 has proved to be an extremely popular series thanks to being the most affordable Side Imaging sonar on the market. Never before has the weekend angler had so many useful fishing tools at our disposal. It’s a great time to be a fisherman!